BMW CEO Harald Krueger's message to shareholders will be "going on the offensive." FRANKFURT -- BMW plans to raise its annual production capacity by about 27 percent to 3 million vehicles by 2020 and plans to build its X5 offroader in China, German daily Handelsblatt said, citing company sources familiar with the plans. 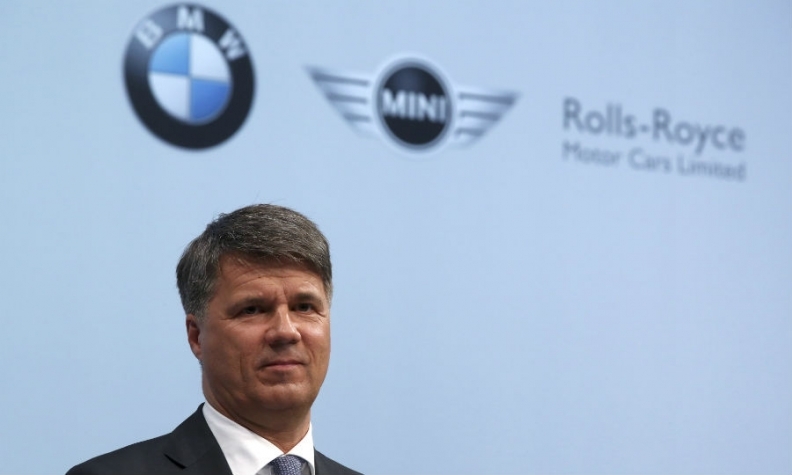 BMW Group, which includes the Mini and Rolls-Royce brands, built 2.37 million vehicles last year, plans to double its production capacity in China to 600,000 cars, Handelsblatt said. In North America and Mexico, production capacity will be increased to 750,000 vehicles from 410,000, the paper said, adding that BMW brand wants to overtake rival Mercedes-Benz, which is owned by Daimler, to reclaim the volume sales crown for premium carmakers. The newspaper said "going on the offensive" will be the message on Thursday from CEO Harald Krueger at BMW's annual shareholder meeting, as the automaker seeks to win back its "rightful" No. 1 spot.